IBX Boost is a NEW and revolutionary two part system. Acts as a protective shield for the natural nail under a Gel Polish coating. Can be used as a natural nail strengthening system to grow natural nails more rapidly on their own! 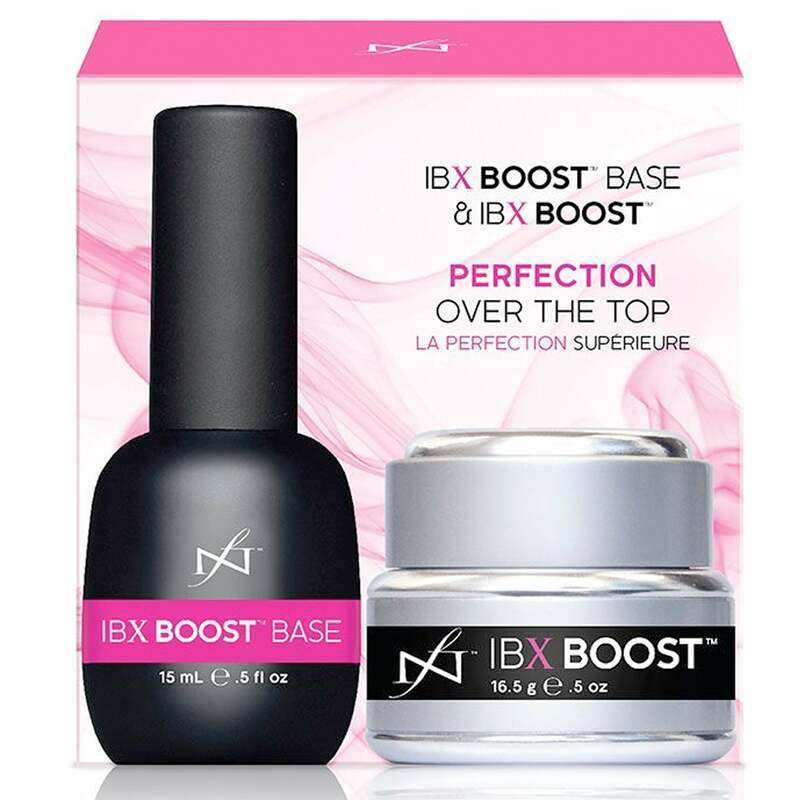 Contains: 1 x IBX Boost Base 15ml & 1 x IBX BOOST 16.5g with FREE Dadi" Oil Nail & Skin Treatment 3.75ml. A natural nail overlay for strength and protection. Protective coating under other services such as Gel Polish. Cures in one minute with UV or LED. Works in conjunction with IBX. Famous Names was founded in 2010 by Linda and Jim Nordstrom, who have spent their entire professional careers in the Professional Beauty Industry. The company is dedicated to creating best in class Nail Care products, provided only to Nail Professionals. For a product to be a “Famous Name”, it must be the best in class.